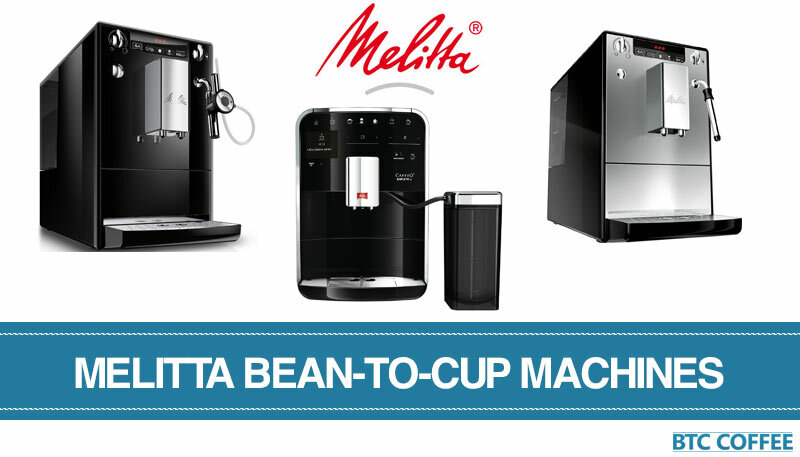 Which is the Best Melitta Bean-to-Cup Coffee Machine? Melitta produces a range of bean-to-cup coffee machines, from the relatively inexpensive Caffeo Solo (which made our list of the 10 best bean-to-cup machines) to the premium Caffeo Barista range. The company's machines have a reputation for bold and unique designs along with excellent espresso. But which Melitta models provide the best value for money in the UK? And which do we rate highest for coffee quality? Keep reading to find out. Melitta specialise in coffee machines, filters and ground coffee. Based in Germany, the company takes its name from Melitta Bentz - an inventor who created the drip brew coffee filter. Since being founded in 1908, the company has successfully built a reputation for quality coffee-related products. Like Delonghi, ​Melitta coffee machines usually occupy the middle ground when it comes to price. The machines aren't cheap, but the company has models in what we call the "mid-range" between £300 and £600, along with several reaching up to the £1000 mark. This might seem pricey for a coffee machine, but it's about par for a bean-to-cup model. While there are a range of Melitta bean-to-cup coffee machines available at the moment, we've provided short reviews of our favourite models below. This doesn't mean machines not on this list are poor quality though - these are just our top three (but make sure you read our coffee machine reviews before you buy). The Melitta E953-101 Caffeo Solo and Milk is one of our top-rated bean-to-cup machines and the only Melitta model to make it into our top 10 UK list. With a stylish design and range of features, it's an excellent model and certainly one of the best produced by the company. In terms of price, the ​E953-102 is a mid-range model that compares well to others in its price category. The RRP is £550, but you can often find it for much cheaper than this. The first thing to note is that the E953-102 can make both cappuccino and espresso. This is due to the steam nozzle that allows you to froth milk manually. 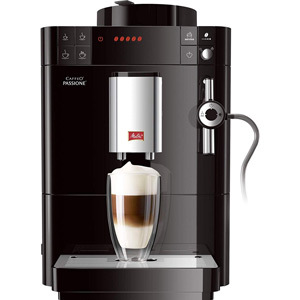 It's not a fully automated cappuccino maker, but can still produce creamy milk and coffee with an excellent taste. To improve the taste of the coffee further, the ​E953-102 has a pre-brewing function, water filter and grinding "quality control." These combine to produce a fantastic cup of coffee. The machine also allows you to adjust various settings to get your ideal coffee, including strength, temperature and quantity. Moving up the Melitta bean-to-cup coffee machine range, we have the E970 Caffeo CI. This is a fully automatic machine with some advanced features that aren't found on cheaper Melitta machines, including memory and the "Plug-In-Milk-System." The E970 is a premium bean-to-cup coffee machine, with an RRP of £1000. However, it's often available for considerably less than this - we've seen it being sold for as little as £650 on some online shopping sites (although prices change constantly). With its milk system, the E970 can produce both espresso and cappuccino quickly and with minimal fuss. It can also make cafe creme, latte macciato and plain hot water if you need it for tea. There are several settings for coffee customisation, including strength and temperature, but once these are stored in the machine's memory you can make your ideal coffee at the touch of a button. Additionally, the memory system can store up to four settings, which is great if your family likes coffee. If you're worried about the extra cleaning, the milk system has been designed to be easy to use and clean. The container is simple to detach from the machine for storage in the fridge. It's also dishwasher-proof. In addition, the E970 has a pre-brew function, two-part bean container, energy saving mode (which provides the same "zero watt" benefits as the Caffeo Solo & Milk), water filter, 1400W power output and a height adjustable spout. 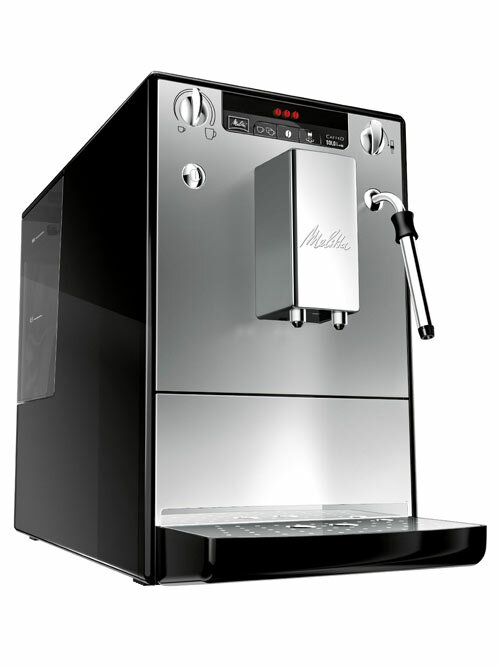 We think the Melitta E970 Caffeo CI is an excellent coffee machine if you want convenient-yet-tasty espresso and cappuccino.​ While it's certainly not cheap, it still provides great value for money when discounted - although we wouldn't recommend buying it at the full retail price of £1000. The final model on our list of the best Melitta bean-to-cup coffee machines is the Passionate F53 (replacing the Caffeo Barista TS). With its stylish design, 10 coffee specialities and ability to prepare milky coffees, it's a versatile model that looks fantastic. ​In terms of pricing, the Passione F53 is a premium model, although it's similarly priced to the Caffeo CL. You can often find it on sale though - especially during the Black Friday deal frenzy. 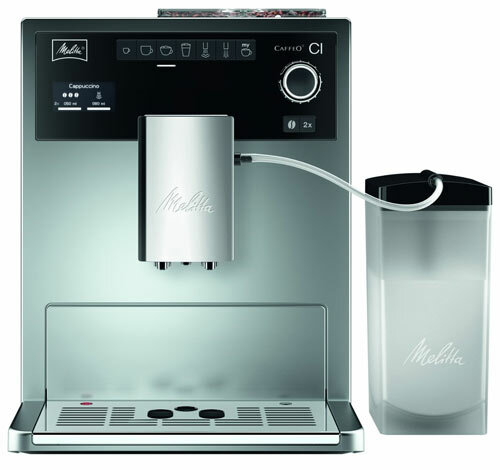 As the name suggests, Melitta has designed the Passione to appeal to coffee enthusiasts. It comes with a range of useful features that allow you to customise your coffee, along with the company's "Aroma Extraction System" for increased flavour. The F53 can prepare a combination of hot and cold milk, hot water and coffee. This allows you to produce classic coffees - such as espresso and cappuccino - along with others, such as Americano, Ristretto and Lungo. There are a variety of coffee customisation settings. These include five coffee strength settings, water quantity and water temperature options.. There's also a double cup mode. While there's no touch screen, the F53 does include a TFT colour display - although we wish there was a coffee memory option, as with the Cl. Other features include automatic descaling and cleaning functions, a removable brewing unit and a 0 Watt option. It's also compatible with the Melitta Companion app and has a relatively compact design.. Overall, the Melitta Passionate F53/0-102 is a solid coffee machine that's great if you prize versatility. We love the wide range of coffees it can produce and the control it provides over the final taste. It's not cheap, but if you love coffee then it's worth the money. Melitta bean-to-cup coffee machines have a reputation for providing high-quality coffee with minimal stress. Their machines are often expensive, but have a unique style and come with features that can't be found on other consumer models. 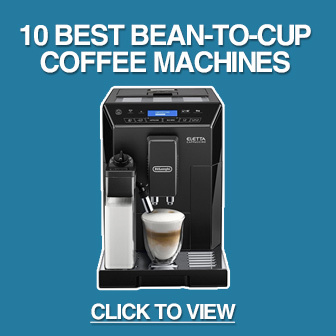 While only one of their models made our list of the top 10 bean-to-cup coffee machines, all three of the machines on this list are excellent. If you love coffee, you'll love making espressos, cappuccinos and other drinks with any of these models.